AJM Refrigeration and Air Conditioning originated in Lismore in 1995. When the company first formed we were predominately a commercial refrigeration service company, performing emergency breakdowns and service work on all aspects of refrigeration and air conditioning equipment. Within a few years the air conditioning sales section of the business started to gather momentum, which eventually became the primary focus of the business. Today AJM has approx. 14 employees and are one of the leading refrigeration and air conditioning companies in the Northern Rivers. Here at AJM we pride ourselves in our quality of work and the respectful way we treat our customers. All our jobs are over seen by one of the business owners and all workmanship is second to none. The high quality of all our installations and service work doesn’t go unnoticed with a very high percentage of our jobs being repeat customers, who love the products we sell and the professional way we perform all our duties, from the quality materials used to the way our technicians thoroughly clean up the work site when finished. We also have impressed many high end builders who turn to AJM when they know they require a top notch job, which will suit the beautiful homes they are constructing. 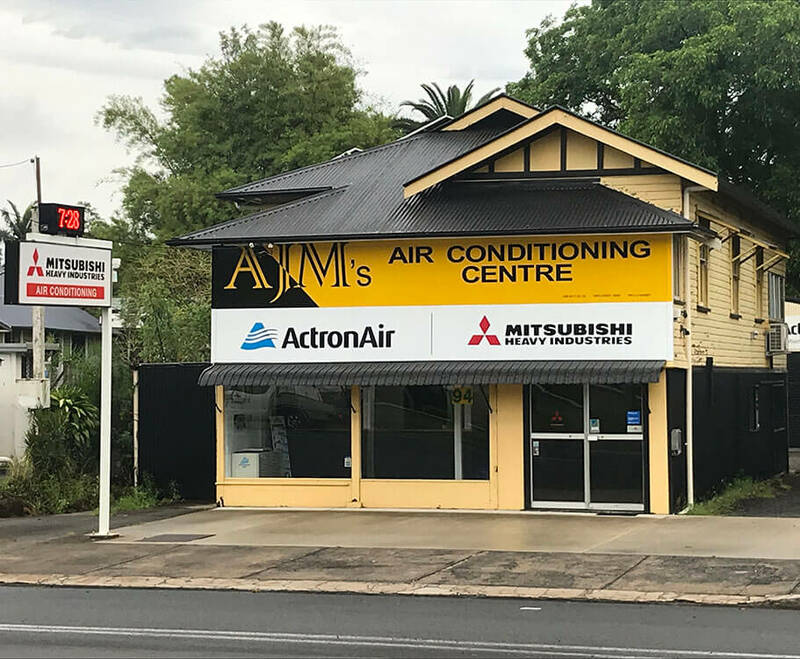 So if you are seeking air conditioning for your home or business in NSW Northern Rivers area, come and see us at AJM’s air conditioning centre, where we provide high quality brands, high quality installation and the best customer service around.